Habitat Tree Surgery Ltd started out as Coopers Tree Surgery Ltd in 1992. These were small beginnings with Daniel Cooper, a Datson 180b, a household trailer, a chainsaw and a few hand tools. Since that time Daniel and Habitat Tree Surgery have built a reputation as one of the leading tree surgeons in New Zealand. 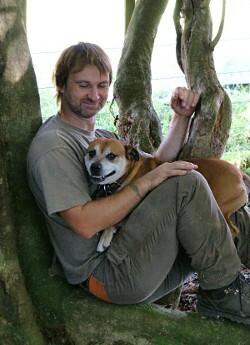 With a passion for doing the right thing by their clients and the trees they work on. This ethos is backed up by Daniel’s International Society of Aboriculture Certification (NZ – 0197A), with all work undertaken in accordance with recommendations and procedures accepted by the NZ Arboricultural Association. Habitat Tree Surgery Ltd has worked in the Kapiti Coast / Horowhenua area for the past 18 years. Our team is based locally, individually well qualified, experienced, and have been together for a length of time which builds an understanding of methodology leading to efficient work practices. We are proud of our employment history. We respect our clients and listen to their wishes and requirements. Before implementing a given task, we explain the wider view of what that particular line of action and what the consequences for that line will be, as well as presenting different options that our client may not have thought of, using our vast wealth of experiences in the arboriculture industry. Also suggesting other work in the vicinity of the task whilst the work site is set up is also part of our services - therefore saving our clients money in the long term. Safety is Habitat Tree Surgeons number one priority. All staff have work based first aid training. Hazard ID plans are implemented and all work is undertaken in compliance with D.O.L. Health and Safety Regulations 1995. Also, in compliance with Department of Labour, we have been audited and had our equipment and written safety procedures viewed and approved. Habitat Tree Surgeons has an impeccable safety record. We carry out written tail gate hazard ID for every task large or small and complete work in closed work sites. We also have Health and Safety Plan, a detailed hazard ID book that is updated as new hazards arise and reviewed once a year. We have an accident register and know the procedure if there is a serious harm incident or a near miss. TTMP and the company’s Health and Safety plan are available for viewing if required. Habitat Tree Surgeons have detailed training and equipment to deal with most situations on level one roads. We have a good relationship with Council’s traffic management control. In our 19th year of business Habitat Tree Surgeons are well experienced in all aspects of tree work from large difficult removals to fine selected and directional pruning, stump grinding, tree identification and maintenance. All work is undertaken in accordance with recommendations and procedures accepted by the NZ Arboriculture Association.